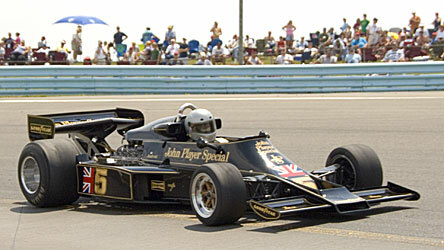 owner and driver of the Lotus 77 originally driven by Mario Andretti. KONI North America, the world leader in shock absorber technology, which is celebrating its 150th Anniversary in 2007, announced its third recipient of the KONI Heritage Award at the recent Historic Grand Prix, held in conjunction with the Indy Racing League and Grand-Am KONI Challenge weekend at Watkins Glen. 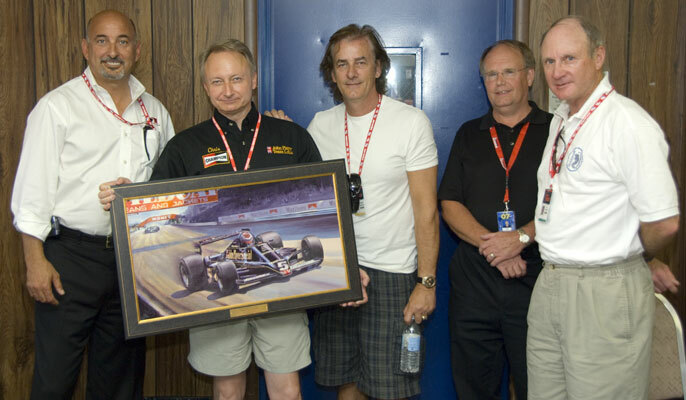 This year’s honoree, Chris Locke of San Francisco, CA, who drives a Lotus 77, received an original painting commissioned by KONI from noted artist Roger M. Cortani. Racing legend Bobby Rahal presented Locke with the award, and two-time Indy 500 winner Arie Luyendyk also was in attendance. KONI commissioned artist Cortani to create a special award in the form of an original artwork depicting an F1 racecar and driver from this era. 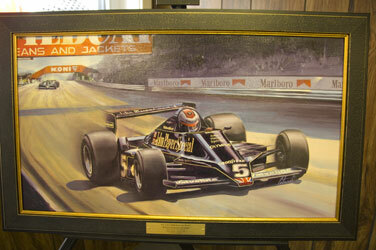 Cortani chose to portray a John Player Special Lotus 79 driven by Formula One Driving Champion Mario Andretti. Cortani is a graduate of the prestigious Art Center College of Design in Pasadena, CA, and currently resides in Virginia Beach, VA. Many of his historic paintings have been shown at the Virginia Air and Space Museum, the California State Railway Museum and the Smithsonian’s National Air and Space Museum in Washington, DC, as well as numerous private collections throughout the world.